Save HR time by giving employees the tools they want. Employees can easily find carrier and broker contact information for help if they need it. In case your employees have a question that has not been answered by the description or the video, we also list the benefit carriers' customer service number for your employees to call. They can call and speak to someone who can guide them through a product description so they can feel secure about their benefits selection. Each employee profile includes their demographic information for HR reporting on enrollment trends and employee demographics. ​Human resources administrators not only have access to enrollment numbers, but the specifics of who enrolled in which benefits and analytics on trending and benefit program performance. 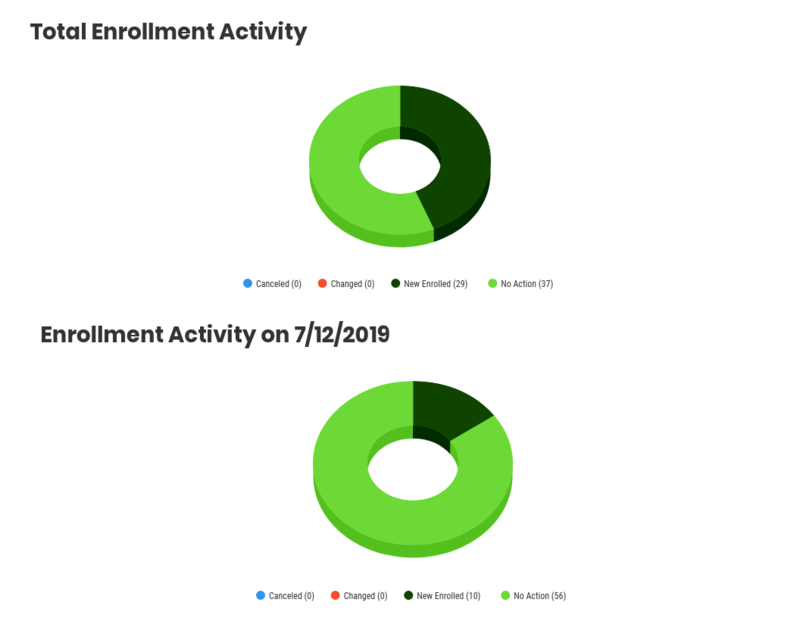 Also, brokers and HR admin can receive daily emails with enrollment statistics. Enrollment and billing records that can be accessed anytime they are needed. ​Pro-Enroll™ gives the user access to more than just product details and an enrollment button. We keep records of all enrollment action, billing history, and payment history for the individual employee and the employer. If you need a statement with payment history for any reason, it's available at anytime. The employer can customize the format to match their brand specifications. It is important for your employees to understand that it is you, their employer, who is providing the availability of these benefits for them. That is why our enrollment portal is customizable to show your logo and color scheme. You can send out custom emails as a primary notification of enrollment start, and midway first reminder, and a closing final reminder. The emails are completely in the employers' hands to create and we blast them out. You can even show a custom message on the employee login screen. Employees expect to be able to access their information on thier phone or tablet. ​We increased the portability and self-service component of Pro-Enroll™ by creating a mobile site for it. When a user logs in on a mobile smartphone (android, iPhone, or blackberry), they see a menu that fits their screen. The mobile site has all the capabilities as the website, it's just a different layout. Now the user can access their account, view their information, and enroll from anywhere at anytime. Supplement the product descriptions with video explanation of benefits. Sometimes words aren't enough to properly convey the value of insurance to the employee. This is why we have video capability. Embed your own explanation of the benefits video so your employees understand and make appropriate choices. Set up automatic premium payments to be withdrawn from the employee's checking or savings account for each pay period. We support ACH bank draft payment processes as a way for employees to have coverage with out the risk of forgetting a payment and as a way for carriers to receive their premiums on time. Employees can take care of their own changes when a qualified life event takes place. ​It is easy to keep up with employee changes with the qualified life event changes and new hire enrollment capabilities. Should something occur in the employees' lives that require a change in their coverage or if a new hire is added after open enrollment has already been completed, it is easy to update. 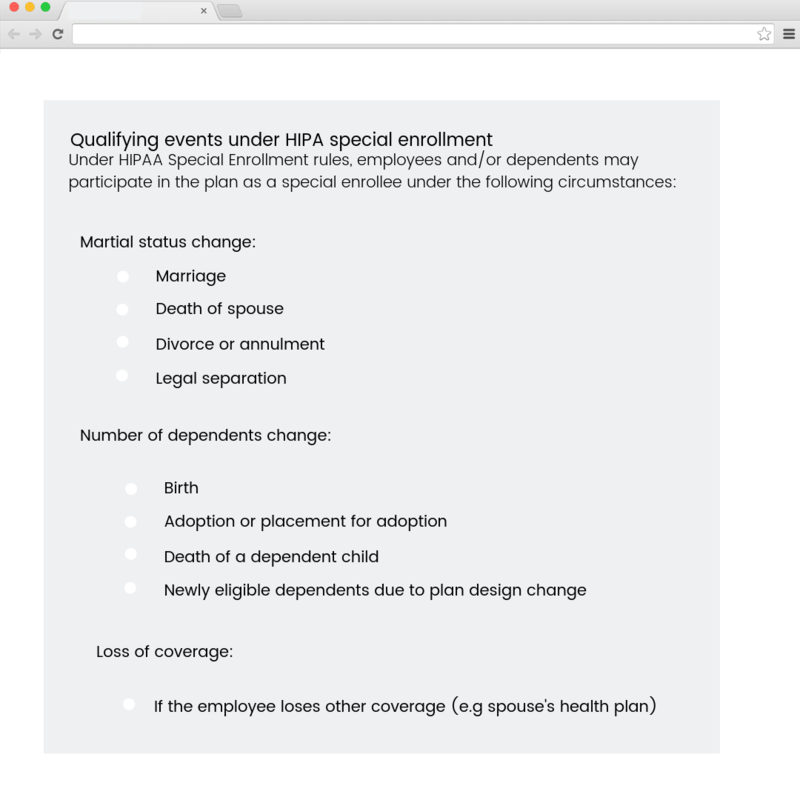 Open enrollment and leave-behind enrollment are both supported. The employer can set up questions an employee has to answer before enrolling in a product to determine premium changes and eligibility. 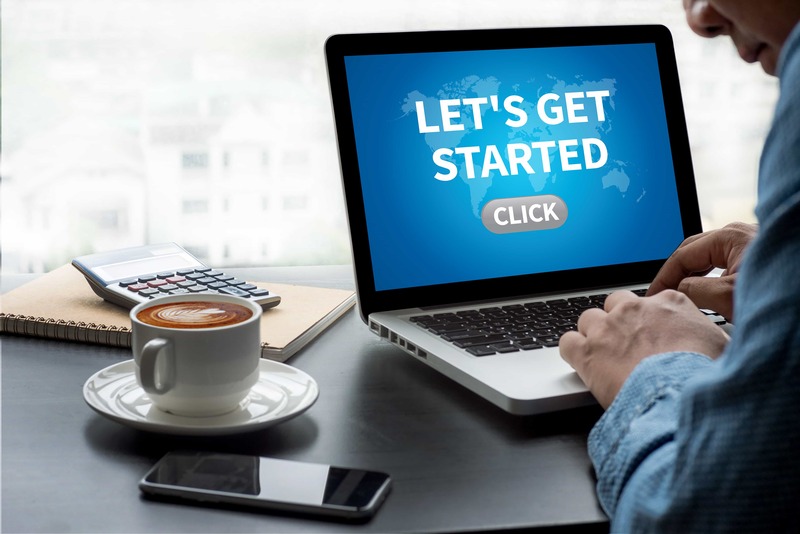 ​Each product detail page contains a button, which enrolls the employee in that benefit, and before the selection is transferred a confirmation box pops up to ensure the employee is not enrolling by mistake. Question boxes are displayed for those benefits that require them, such as benefits that offer coverage for dependents or benefits that need information on smoking habits. The answers to the questions result in an instant change in the displayed premium for that benefit. 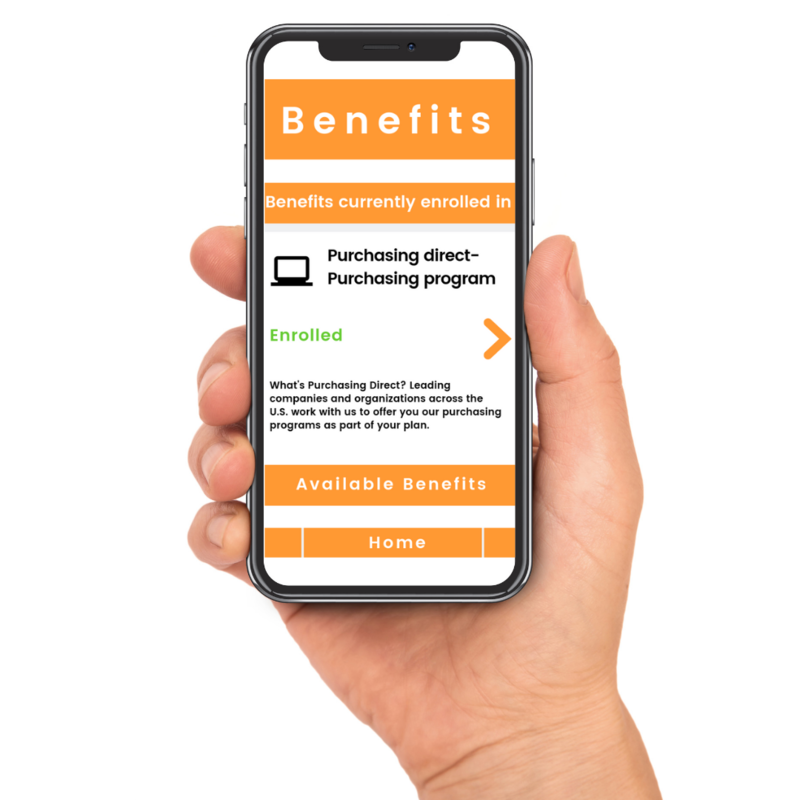 For the benefits that require eligibility management we have the ability to implement a questionnaire before the product detail page renders to determine the eligibility of the employee to receive that benefit. Employees see the cost of each individual product per pay period and the total paycheck deduction ammount. ​In the Pro-Enroll® site, the user has a section, which has a quick cost summary. 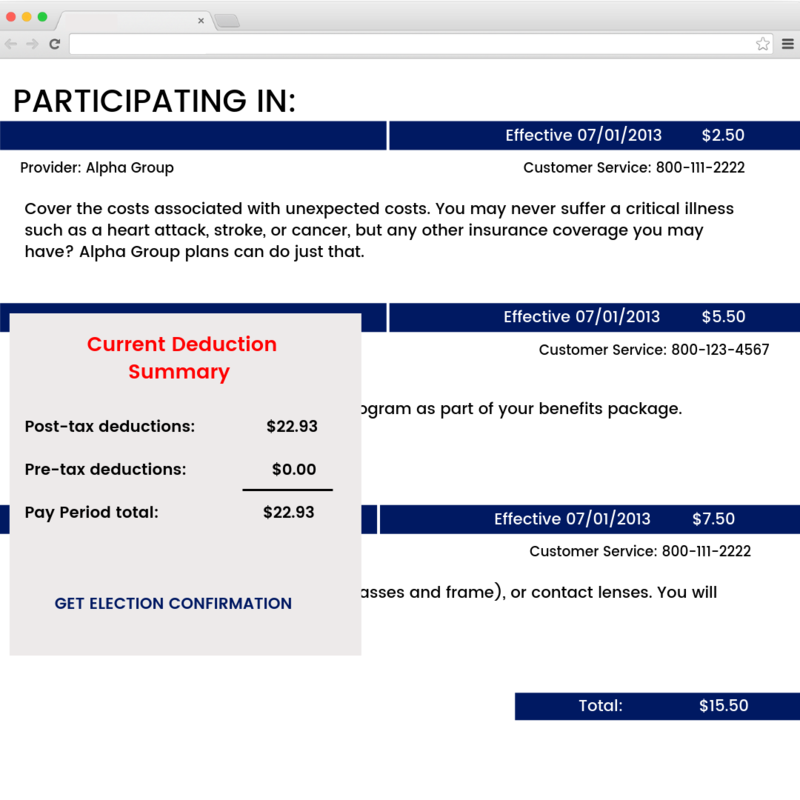 The summary also displays a link, which leads to a statement containing a break out of which products the employee is currently enrolled in and what cost of each is per pay period. 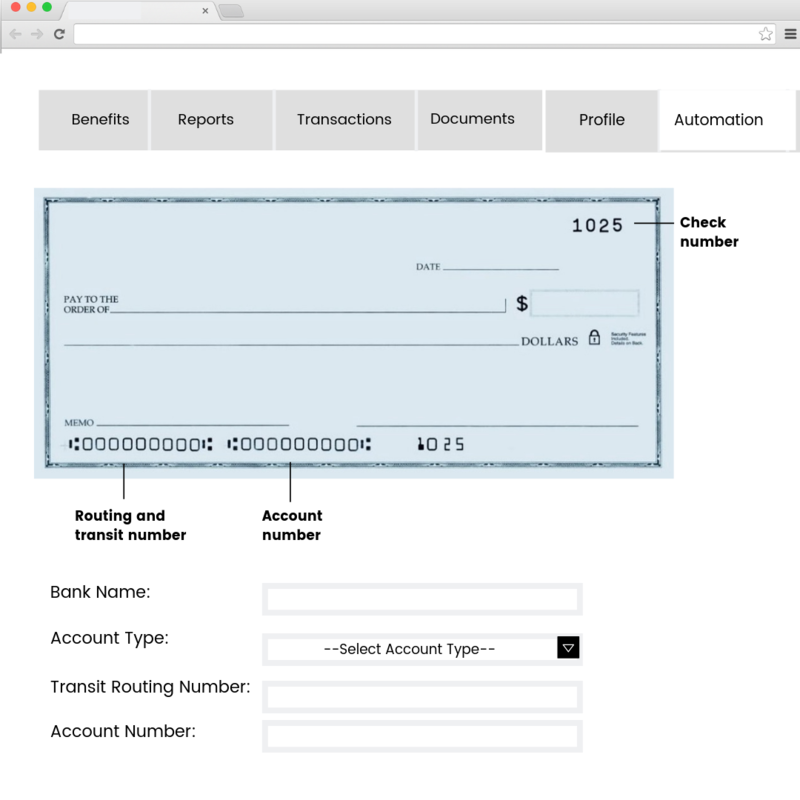 Also available is the Transactions tab, under which the employee can obtain a history of their payments and adjustments. Employees have all the details for all the product options. 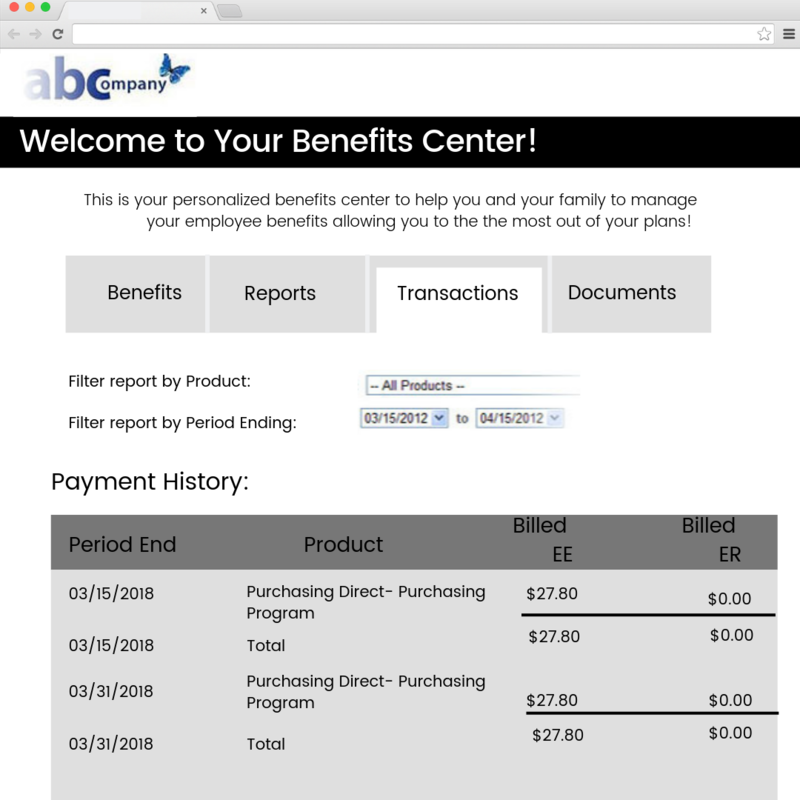 Each product on the benefit list page contains a brief description giving the employee the purpose of the benefit. 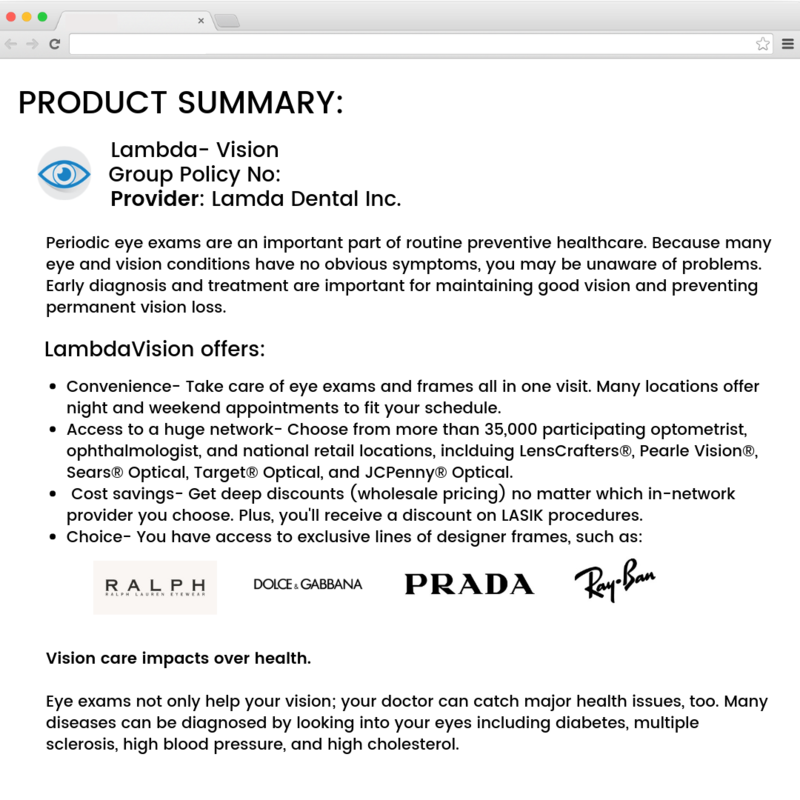 Once clicked, the "Enroll Now" link takes the employee to a page, which contains a detailed and in-depth description of the product and its application.